A total of eight bodies were found on the streets of the Mexican resort city of Cancun, with two of the bodies dumped at two spots and four others found shot to death individually, authorities said. Also Tuesday, one man was found bound and shot to death. The prosecutors’ office for the state of Quintana Roo said another man was killed while lying in a hammock, yet another was found shot and covered in a plastic bag. None of the killings occurred in the city’s beach-side hotel zone. Meanwhile, the U.S. State Department continued to say Wednesday in its latest travel advisory that travelers should "exercise increased caution" in Mexico due to crime. The advisory kept its overall Level 2 rating for the country from its previous advisory on Aug. 16. The new warning also repeated the same information for the Cancun area to exercise increased caution. 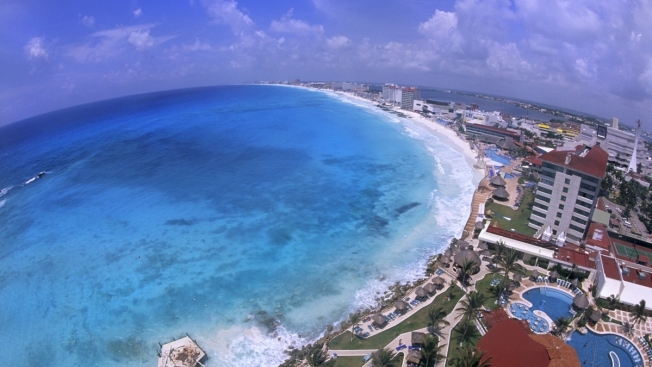 It did not say to reconsider travel or avoid Cancun, which is in Quintana Roo state. The State Department's warning of which states to avoid traveling to due to crime was also unchanged. Those states are: Colima, Guerrero, Michoacán, Sinaloa and Tamaulipas. What did change was a section about Ciudad Juarez to affirm that a policy prohibiting U.S. personnel from traveling downtown without advanced permission from the U.S. consulate general would continue following a 30-day review, a State Department spokesperson confirmed. The July 13 decision which cited "higher rates of homicides during daylight hours" found that the homicide rate had not subsided. The new alert also called for personnel to take "the most direct route north of Boulevard Zaragoza to access the Ciudad Juarez Airport on Highway 45." The State Department urges travelers to review their information on travel.state.gov before they travel.